Bernhard Maier: "People are beginning to understand that with a plug-in hybrid they have the ability to be totally flexible [in terms of range and performance] while having their own filling station for electricity at home or at the office." 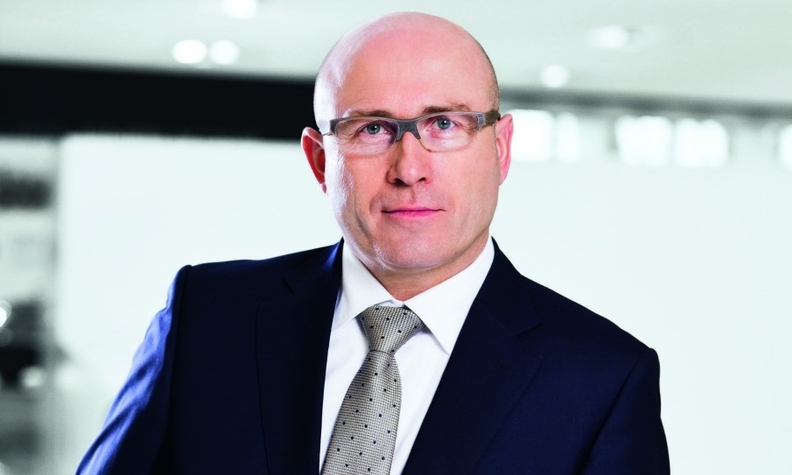 Porsche sales boss Bernhard Maier commutes daily to company headquarters near Stuttgart using either a Porsche Cayenne plug-in hybrid or a Panamera with the low-CO2 powertrain. Regardless of the vehicle he uses, his goal is the same, to travel the 45km to work and the 45km home emissions free. That’s a big mindset shift for the sports car maker. Maier shared his views on the future of plug-ins at Porsche with Automotive News Europe Editor Luca Ciferri. You use a Porsche plug-in hybrid for your daily commute. How do you get additional full-electric kilometers out of the battery? The Panamera and Cayenne are homologated in the European NEDC cycle for 35km in pure battery mode, but by coasting into the traffic and recuperating energy during braking you can drive emissions free a bit further. Depending on the traffic and the route I take, I drive 40km to 45km per trip. Most of the time I manage to use only electric power. Are you a true believer of plug-ins? Absolutely. People are beginning to understand that with a plug-in hybrid they have the ability to be totally flexible [in terms of range and performance] while having their own filling station for electricity at home or at the office, which is really convenient. You do not need to drive anywhere to get your battery filled. It happens at home, while you are sleeping. MAIN CHALLENGE: Expanding plug-in hybrid lineup to help the brand reduce emissions without sacrificing performance. How are customers reacting to Porsche’s plug-ins? On the Panamera we are already at 10 percent of global demand, while the Cayenne was just introduced. In general, we see more potential in markets where authorities or governments subsidize models that reduce pollution, because having the best of two worlds inside one car is a little bit more expensive. When a government wants to convince inhabitants that reducing pollution is a really important issue, and offers adequate incentives, electrified vehicles could grow to market shares up to 50 percent. When will there be a plug-in hybrid version of the 911? We have a lot of ideas, but we have not approved them for production yet. The 918 Spyder shows that Porsche has the capability to produce very convincing hybrid sports cars. Technically, they are a very interesting solution, but questions about the technology go beyond how to develop a fuel station infrastructure, which, by the way, won’t be quick or easy. The real issue is how can hydrogen be produced with a compelling well-to-wheel balance. Porsche is near a sales balance of one-third of its volume in Europe, North America and Asia. What will the model split be in the three regions? In mature markets we have a higher share of two-door sports cars in comparison to those countries that we call fast-growing markets. This is normal. In markets where individual mobility is still at a very low level, you need a car that can fit to a lot of different circumstances. This is why the Cayenne and Panamera are the favorite choices in China. In fast-growing markets the sports car segment has not reached the share it has in Germany or the United States, but it is picking up quickly. What is important for Porsche is to have a dominant position in the sports car segment everywhere. This segment in China is still small in absolute terms, but we have a share slightly higher than 50 percent, so we are in good shape. When does a market reach the point that it’s mature enough to make sports cars a more viable purchase? In broader terms, when affluent buyers have met their requirements for a four-door sedan and an SUV. If they still have the space and the money for a third car, then they get a sports car. So the 911 is a third car for most Porsche customers? We do not have many customers who only drive the 911. The average 911 customer owns another 2.6 cars. The Macan is off a good start. Do you need to expand production beyond the 50,000-unit installed capacity you have in Leipzig? If we can build some more, we are really happy to do so. Nevertheless, our business principle is to balance demand and supply so that we build one car less than the market is able to absorb. Currently we have a waiting list of approximately six months for the Macan, which is a very healthy situation. Porsche closed 2014 with a new sales record. What do you expect this year? Further growth in line with what was defined in the Strategy 2018 plan.